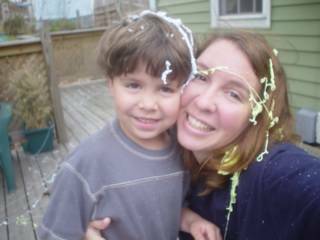 the only thing left to do is have a silly string fight! I just looked in my calendar and realized I missed Jo’s birthday Sunday 😦 Oops! so glad to have you mary ellen! it’s so comforting to know there are other soulsisters out there that totally “get” you- they love you warts and all. especially those that you have a history with…it is like an old sister, and the feeling is mutual m.e. !